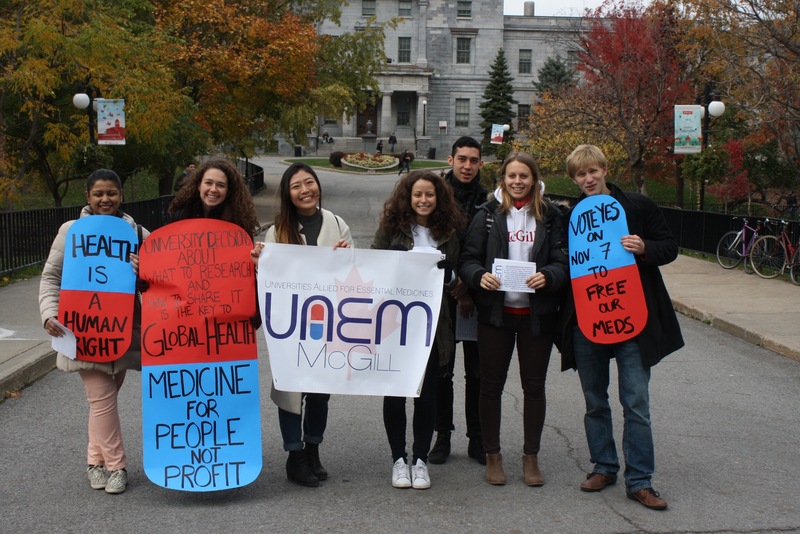 On October 16, the McGill Students’ Chapter of Universities Allied for Essential Medicines (UAEM) could be seen standing at the University’s Y intersection, launching their campaign to raise awareness about their upcoming SSMU General Assembly (GA) motion aimed at improving global accessibility to medicine. Peter Grabitz, UAEM’s European coordinator and member of the McGill chapter, explained in an interview with The Daily why UAEM McGill introduced their motion. While McGill’s UAEM chapter has been active for five years, this is the first time that the student group is bringing forth a motion, entitled “Policy Regarding Global Access to Medicines”, to a SSMU General Assembly in order to implement concrete action to secure institutional accountability. Speaking about the importance of student involvement, Christine Kim, U3 Pharmacology student and Co-President of UAEM McGill, stated that the issue of inaccessibility in international healthcare is rarely critically engaged with in academic study. “I’m a pharmacology major and even the students who learn about this issue, they learn it in a very different manner from how we’re doing it here and during our workshops and meetings,” she said. “I think it’s important for there to be an organization from the students on the other side of things. […]There’s also a large amount of students that don’t even learn about this in class,” Kim added. Chloe Hogg, a U3 Arts student who founded three chapters of UAEM in Melbourne, Australia, spoke about the importance of realizing the power McGill wields in how it licenses research.